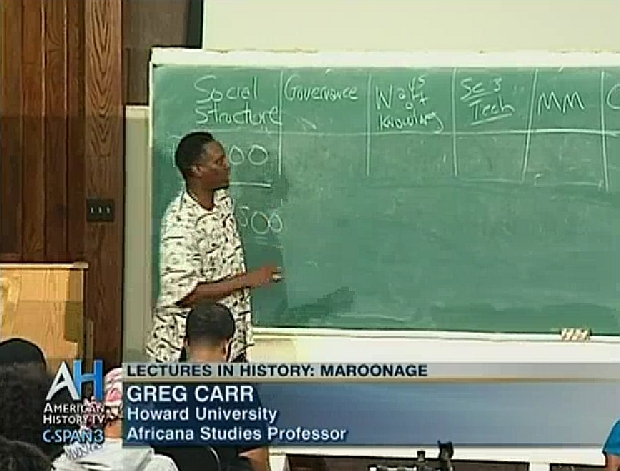 "Professor Greg Carr, chair of the Department of Afro-American Studies, presented a class lecture on slavery in the U.S. in the international context. He focused on maroonage (flight from owners followed by banding together to establishment independent communities in remote ares) as a dimension of African resistance, migrations, and movement in African-American history and the cultural meaning in U.S. history."